Hollybeary Creations : Stampin' Celebration #85! It's a busy day here on my Blog..lol Seems everything is happening on Friday! This is my second post so be sure to scroll down for the Friday Mashup post incase you missed it! Today at Stampin' Celebration! We have a sketch challenge created by our DT member Anita! I decided to go ahead and create a Digital page with MDS.. This is a really fun Sketch, I flipped it because the photo I choose was looking into the page and it came out great! 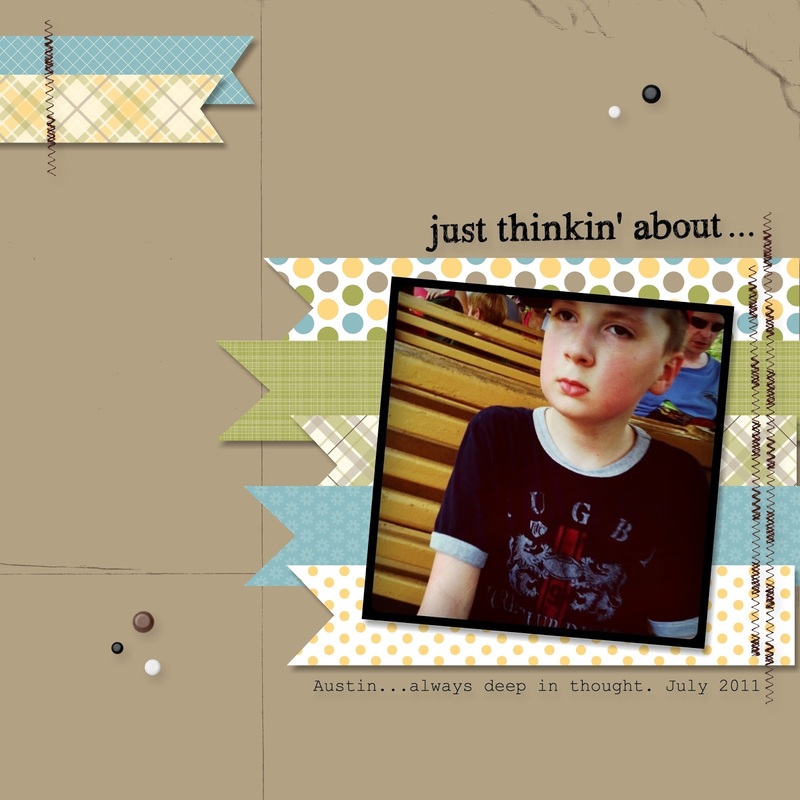 My son Austin who many of you know is Autistic and Non Verbal.. seems like he is always deep in thought. I have a ton of photos like this one.. I often wonder just what he is thinking about! 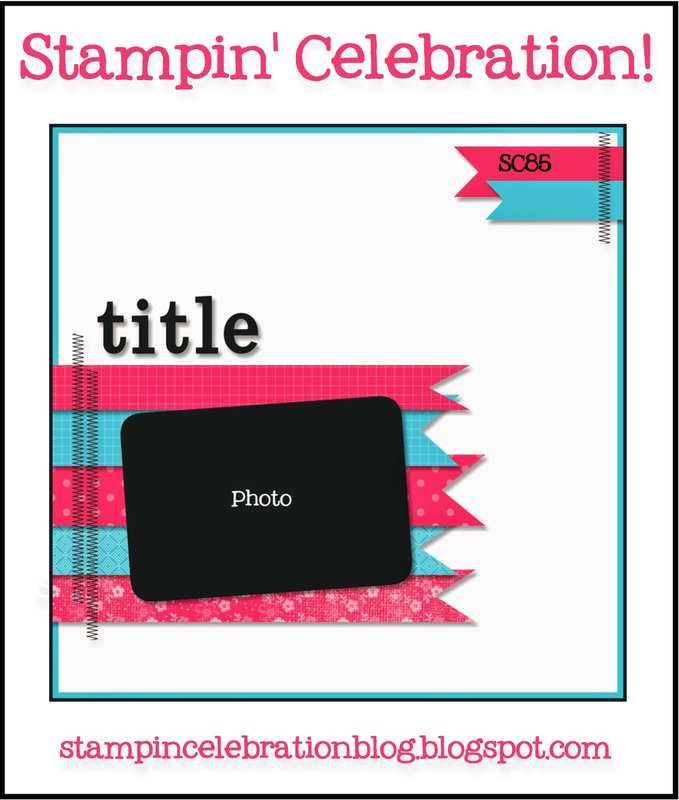 Be sure to head over to the Stampin' Celebration! challenge blog and see what the other Design Team members created with this fun sketch! We hope you will join us, the challenge is open until Aug 29th @ 11pm EST. Labels: MDS, Sketch Challenges, Stampin' Celebration! LOVE your color choice and that you reversed the sketch too! Cute!